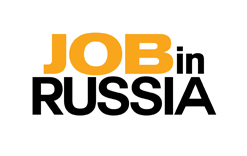 Jobs in Russia: Russia, the world’s largest nation, borders European and Asian countries as well as the Pacific and Arctic oceans. Its landscape ranges from tundra and forests to subtropical beaches. It’s famous for Moscow's Bolshoi and St. Petersburg's Mariinsky ballet companies. St. Petersburg, founded by Russian leader Peter the Great, has the baroque Winter Palace, now housing part of the State Hermitage Museum’s art collection. Jobs in Turkey: Turkey is a nation straddling eastern Europe and western Asia with cultural connections to ancient Greek, Persian, Roman, Byzantine and Ottoman empires. Cosmopolitan Istanbul, on the Bosphorus Strait, is home to the iconic Hagia Sophia, with its soaring dome and Christian mosaics, the massive 17th-century Blue Mosque and the circa-1460 Topkapı Palace, former home of sultans. Ankara is Turkey’s modern capital. All candidates minimum 5 years experience is required.